Pune-based industrial internet of things (IoT) startup Infinite Uptime has raised ₹34.4 crores ($5 million) in series A funding various venture and private equity funds. The fresh funds will be used to increase its presence and to expand the team size. 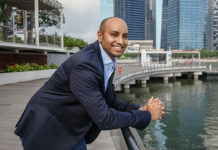 Venture capital firm Mayfield Fund invested $1.37 million, IL&FS, the private equity arm of Infrastructure Leasing and Financial Services Group invested $2 million, GSR Ventures invested $1.37 million, along with $260,000 from GiTV as a strategic investment. 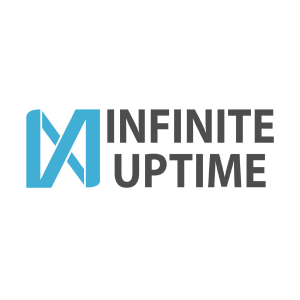 Infinite Uptime, an IoT startup that utilizes the capabilities of big data and predictive analytics for decision making was founded by Raunak Bhinge in 2015. It uses predictive maintenance for industrial machines for the manufacturing industry by preventing losses due to machinery breakdown. The various products offered by the startup include IDE (Industrial Data Enabler), and IDAP (Industrial Data Analytics Platform). IDE helps in monitoring machines and equipment to increase efficiency by preventing unplanned downtimes and minimizing breakdown maintenance costs. While the IDAP provides a comprehensive platform to monitor IDE’s across different machines. 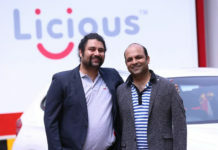 The startup is planning to set up a 15-member technical team in India, and it aims to grow the current team of 35 members to a team of 100, over the next year. With 80% of the startup’s clients in India, it is looking to expand in the Indian market. It also has a team set up in China. The startup has clients across different industrial sectors like automotive, textile, processing, power, steel, defence and cement including companies like Godrej, Siemens, Kalyani Group companies, and Tata Group among others. “Our solution is a combination of a unique smart sensor system and edge computing that gathers all the required mechanical data from the machine where it is installed, analyses it from various aspects at the edge and provides information critical to predictive maintenance of the machine helping save good amount of downtime thereby improving productivity,” said Bhinge. Next articleLal Singh floats a “non-political” outfit in Jammu, beginning of trouble for BJP?